 Hi Tom - Just like to say that we were very happy with your professionalism with regards to the sale of our property, you were always approachable friendly and very helpful. The sale went through smoothly and we would be very happy to recommend you and Braxton. We are now well settled into our new home in the New Forest and enjoying being here very much indeed. We would just like to thank you all for all your help in selling our home in Cookham and buying our flat in Maidenhead. We thank you for your courtesy and kindness, your diligence in chasing up the various people in our chains and tying up the loose ends so efficiently. We hope you have had a good rest of year and wish you all a very happy Christmas and a successful and happy New Year.  Braxtons give the best quality, value and service of all the estate agents that I have used in Maidenhead. They succeed where others fail, have a high level of integrity, and act in the best interest of the client and not themselves. Every time I called I was treated politely and efficiently. It took 3 months only from putting the house on the market to completion. I would recommend Braxtons to anyone wishing to buy or sell a property. Thankyou Tom. I just want to go on record of thanking Geoff and the team at Braxton. Achieving a sale within a matter of days at the asking price, the fact I was kept up to date throughout the transaction and we got exchange of contracts within 4 weeks from agreeing the sale was exceptional. I would have no hesitation in recommending Braxton. We cannot imagine anybody better to be in charge of the selling of your property. Tom Adams at Braxtons keeps his clients informed of the progress of the sale and one is never left guessing, information to the client is what he specialises in. He made our sale stress free and we cannot recommend him highly enough. Once again a huge thank you for all your work on our sale. The service we received from Braxtons was exceptionally professional. They secured a sale on our property in five days from placed being on the market. Their local knowledge is second to none. Throughout our selling and buying process their advice and support was of the highest order and we have absolutely no hesitation in recommending them. I have used Braxton before and had no hesitation in doing so with this sale as I have always found them to be efficient, friendly and professional, in this case I was away most of the time and felt secure in leaving all viewings and the property with Braxton. An excellent service from beginning to end. Staff at Braxtons were very professional and readily understood my requirements. Escorted viewings were speedily arranged to meet my criteria and their knowledge was invaluable in my making a considered choice of property. I would have no hesitation to recommend Braxtons in the future.